Unless you get the best notebook or Ultrabook, laptop overheating is normal. It’s common because the complete system brought into a singular structure. But, manufacturers are inventing new methods for heat management and other cooling-down methods. So, you may be having the same problem if you own an old laptop, especially if you’ve been using it for a few years. Overheating is something you should consider seriously! It can harm your device and data in many ways. It’s important to find how to prevent a laptop from overheating and take necessary actions. Don’t worry if you are confused. 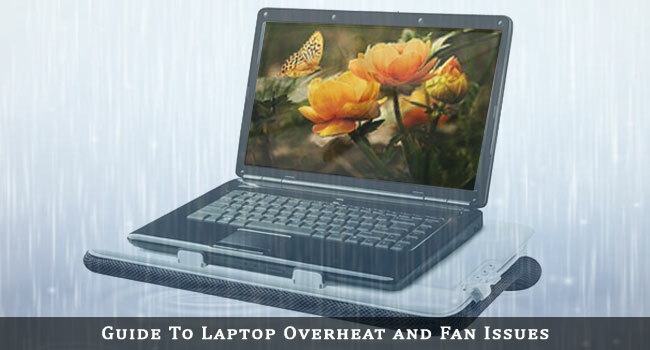 In this article, we are all set to help you deal with laptop overheating issues. We have a comprehensive guide on how to prevent laptop from overheating issues and some methods to cool down a laptop. Before we begin, you should know about possible overheating reasons. It can be either software or hardware. First, you should understand the real reason behind overheating. There can be multiple sources for heat output. No matter what laptop brands you prefer, these vents should be properly working for the proper circulation of heat – in and out the device. And, there can be different problems with these vents. The case is same for the fans in device. Dust Accumulation on Vents and Fans: This is common if you are using your laptop in a dusty environment. In the course of time, dust gets deposited on the vents as well as inner parts of your device. If the amount of dust gets bigger, there will be issues with air and heat circulation. Defective Fans: In the course of time, your laptop fans may become defective or non-functional. It may be due to persistent usage or through some malfunctions. For instance, you may find the fans to be running in an improper manner. This might be surprising, but your old laptop batteries are a reason for laptop overheating and further issues. The battery can become ‘bad’ in many ways. First, it can be due to the non-healthy charging pattern. Do you always use your laptop on AC power and not on battery? This habit can lower the health of your notebook battery. Also, there are manufacturing defects and wear and tear. Regardless the reason, however, an old, malfunctioning laptop battery will emit a lot of heat. For one, laptops aren’t meant to be used as desktops. They are supposed to be on your lap and should have all the perks of portability. So, if you are using your laptop like a desktop – by placing it on a desk, all the time – it can cause you the issues of overheating. Just keep this in mind: we always need the right air circulation. We already talked about the impact of clearing dust in keeping a laptop cool. 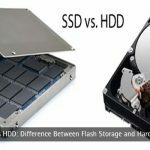 The same dust can cause problems with your HDD and RAM Sticks. In the long run of using your laptop, dust accumulation can happen in these areas as well. Thus, it’s better to consider this side too. Do you have a huge number of resource-consuming apps installed in your PC? Are these apps putting a lot of load on CPU? Well, this can be a reason for your laptop overheating issues. So, these are the major reasons why your laptop is overheating like hell. Now that you have an idea, we will go ahead and check out how to cool down a laptop and how to prevent laptop from overheating. Both these are important tasks. If you don’t do these, your data and laptop may be in damn trouble. As we said, dust accumulation is a major reason for laptop overheating. So, once in a while, you must clean vents and fans of your laptop to get moving. If you have a fully-fledged laptop, you can open the enclosure and do a thorough cleaning. If you have a netbook, however, we prefer the outside cleaning only. For cleaning, you can use a dedicated brush or other tools. And, if you think you are not expert enough to do that, you can seek help from tutorial videos or professionals. Before doing this, you should confirm that your battery has some issues. In that case, you can purchase a new battery and replace the old one. Getting the compatible battery is now an easy thing, thanks to online stores and all. You just have to enter your laptop model and number. Also, most notebooks come with easy-to-replace batteries. If you have one netbook or Ultrabook, the scenario would be different, though. Well, this can have an impressive impact on the air circulation and heat management. The process is simple: try to use the laptop on your lap, rather than the desk. In other words, make sure that all parts of your notebook is in contact with the outer air. Clogged or blocked vents are harmful for laptop health, you know. Alternatively, if you want to use it on desk, you can get a USB cooling fan. You can find a bunch of effective choices through Amazon or your local store. These devices come with an external fan that can be powered via USB. In short, the extra heat will be managed by the extra fan – that’s effective, so far. This may not be easy as it seems. In fact, there are a lot of factors that impact CPU overload. For instance, you may be using a few resource-hungry apps, there may be auto start-up apps and then, there are background processes. You may not be able to understand all these issues in a single look. So, we highly recommend using System Information tools like Speccy. Using these, you can know if your laptop has an unusual CPU temperature. If you have such an issue, you can consider the following methods to clean them all. Use System Cleaners like CCleaner. These tools will delete cached files, junk stuff and other slow-down elements. You can try resetting your Windows PC once in a while. This way, you can save a lot of time and get rid of unused apps. Always run the up-to-date versions of software and OS. Of course, get rid of the heavy resource-hungry apps, if possible. We are sure that these steps will help you reduce CPU consumption and heating, quite dramatically. These steps are the ones who recommend when someone asks us why does my laptop get so hot. Above, we have discussed the different reasons for laptop overheating. So, the next time your laptop keeps overheating, you can find out the reason quickly – without visiting a professional service center. However, we understand the process of laptop repairing can be tougher. However, if you take some effort to learn it, laptop overheating won’t be an issue. But, once again, if you are there with an Ultrabook, we recommend a second thought. Nevertheless, the software-based ways we have recommended are super-cool and easy. Within a few seconds or minutes, you can decrease overheating. Unarguable tips, my laptop fires up like nothing but only while playing games and using a normal cooling pad does not seem to work. Thanks for sharing this useful tips. I am going to try these tips for my laptop to avoid overheating. Keep on updating. Overheating computers can cause a lot of problems, from seemingly random blue screens to data loss. You might not even know that it’s the root of your issues, and before you know it you have a burnt-out motherboard on your hands. Nice post, but a good laptop will cost about $2000, no matter what you do with your old one! It will still overheat due to poor and cheap quality! Buy a Macbook and you save your day. Nice informative post. Nice tricks to get rid of the laptop overheating problem. Thanks bro. My laptop is always overheating and the fan speed is also high. Hope these tips helps me to reduce that. Thanks for the most useful information buddy. I just learned many things from your post, keep on going. This really helps in speeding up the computer after an accumulation of dust over the years. One of the most common issues with aging laptops is overheating, something many people aren’t sure how to fix. We’ll help you figure out what’s causing the heat and how to keep your notebook functioning at a lower temperature. I think that you have covered almost everything about guide to laptop overheat and fan issues. Thanks a lot for this post. Great information. You gave detailed knowledge about heating. I will be using your guide. I only knew that due to dust on cooling fan or dust inside the laptop, it becomes overheat. But these topics increase my knowledge more. Thanks for this post. Purchasing a laptop cooling pad can greatly reduce temperatures. It’s quite useful in gaming sessions where my laptop tends to shut down because of overheat. Thanks for this awesome tips dude. I hope, you have almost covered all the points to overcome a laptop overheating. I am having the dell Inspiron 1525 and facing so much overheating problem, anyone having the same issue? Haven’t you tried the tips mentioned in the post? They are well tested and work fine. Email us your problems and we will try to solve your problem. Overheating computers can cause a lot of problems. From seemingly random blue screens to data loss. You might not even know that it’s the root of your issues and before you know it you have a burnt-out motherboard on your hands. You got very interesting content here that provide with useful information. Really appreciate. Thanks for your sharing! Cheers for sharing this! currently traveling through Asia and my laptop keeps overheating.